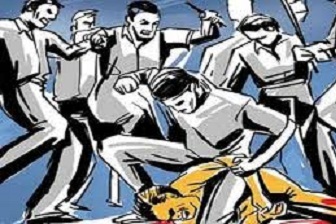 Eleven people were arrested till Friday evening for the lynching of a man in Assam’s Biswanath district over suspicion of cow theft, police said. A report appearing in the The Indian Express stated that Deben Rajbongshi, 35, was killed and three others were injured in a mob attack at Line No 15 area of the Diplunga Tea Estate under the Sootea Police Station in Biswanath early on Thursday morning. The report further quoted Biswanath SP, Diganta Kumar Choudhury, as saying, “We have arrested 11 persons till now and the investigation is on in full swing.” Police claimed that they recovered two cows with the tempo (pick-up vehicle) the victims were travelling in. The survivors, however, had said that they were in the area to buy pigs. A fifth person in the group that was attacked managed to escape during the assault and sources said he has also been traced by the police. The injured presently undergoing treatment in a private hospital has been identified as Phulsan Sahu, Bijoy Nayak and Pujen Rajbonshi. According to information, the four unfortunate persons were pig traders and they had gone to the area early on Thursday morning to buy pigs. However, the villagers suspected them to be cattle thieves as there have been incidents of cattle thefts in the area in recent times. Meanwhile, sensation prevailed in the entire region over the mob lynching incident.